Manchester United have been on Harry Maguire’s case for a while and several reports say that a formal enquiry has been made by the club. Daily Star reports that United have made a formal bid for the 25-year-old . According to the report, Leicester will not listen to United’s offer and are preparing to offer Maguire a new contract to fend of United’s interest. Maguire is currently into the second season of the five-year contract worth £100,000 a week. Though it is believed Maguire wants to challenge for trophies which United would be able to offer the player. 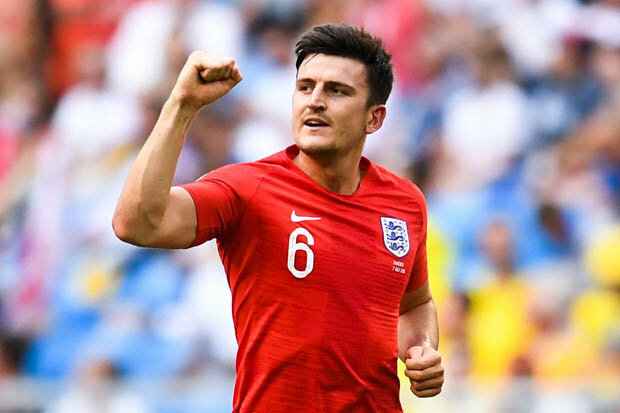 Maguire has become one of the hottest defenders in England after his starring role at the 2018 FIFA world cup. The towering defender was exceptional winning most aerial duels and forming the backbone of England’s run to the semifinal chipping in a goal against Sweden in the quarterfinals. It is believed that Leicester value the defender at £80 million which is more than the fee Liverpool paid for Van Dirk in January. Does he worth that mammoth fee is what most fans will be thinking, though United are reportedly confident of reaching an agreement of around £50 million.